Located in southeast metropolitan Denver, the winding streets, mature trees, and friendly neighbors make this one of Denver’s most treasured communities. It was developed in the 1940′s and 50′s. The homes range from the original smaller but unique houses, to multi-million dollar custom built homes. Home prices have been strong in Bonnie Brae, a testament to the desirability of living near the center of a major metropolitan city, with parks, restaurants, and shopping all within a few miles. Bonnie Brae has had an organized neighborhood association for many years. We are a small area (around 700 homes) and we partner with an active Merchants Association, our City Council, and the City of Denver. Bonnie Brae has an annual picnic each year in late summer at Bonnie Brae Park. This event is a great opportunity to meet neighbors if you are new to the neighborhood or re-connect with those you have not seen in a while. Boundaries: Located east of University Ave between Mississippi and Exposition Avenues, Steele St and University Blvd. 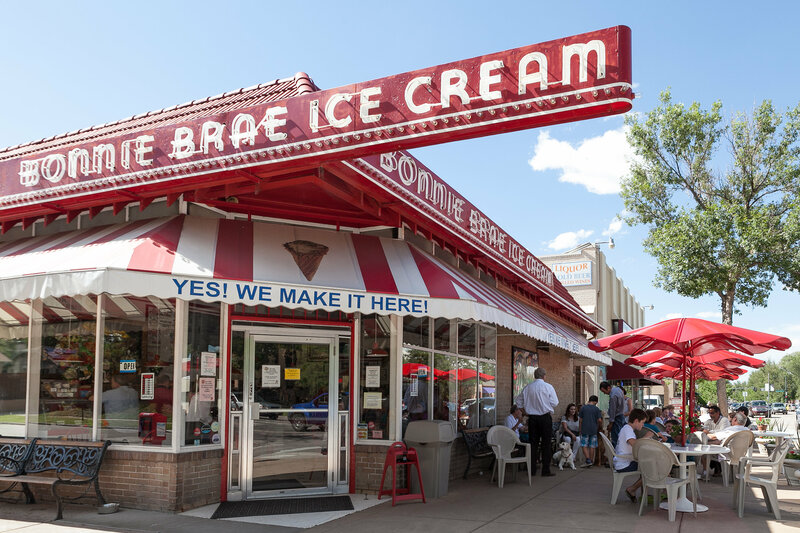 Bonnie Brae was developed in the 20’s and is home to one of urban Denver’s most vibrant neighborhood commercial districts. The neighborhood’s unusual street patterns don’t follow the typical city street grid, and its winding streets surround an elliptical-shaped park. Its a serene residential enclave, and it’s beautiful homes, mostly built in the 30s and 40s, line the quiet streets.